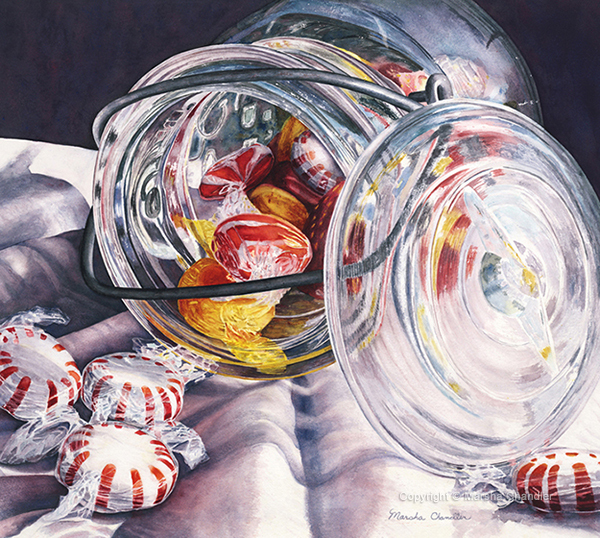 Marsha is an award-winning, Internationally recognized, watercolor artist known for her contemporary realism. In her Georgia studio, she creates vibrant still lifes expressing her love of details and reflective light. Her realistic, compelling compositions, many of them Southern themed, depict simple objects from everyday life in extraordinary ways that collectors love. With numerous layers and multiple colors, the vivid saturated hues that she creates have become her signature style.